SOMETHING of a surprise addition to stock for the West Somerset Railway is Andrew Barclay 0-4-0 Fireless Boots No. 1 (1984/1930). It has been acquired on loan from the Foxfield Railway by Ryan Pope of West Somerset Restoration, Williton, where it arrived on March 28. The locomotive spent its working career with Boots the Chemist at its Nottingham factory with another Barclay 0-4-0F Boots No. 2 (2008/1935), today preserved at the Midland Railway-Butterley. No. 1 will be restored to working order, hopefully for demonstration at Washford station yard. 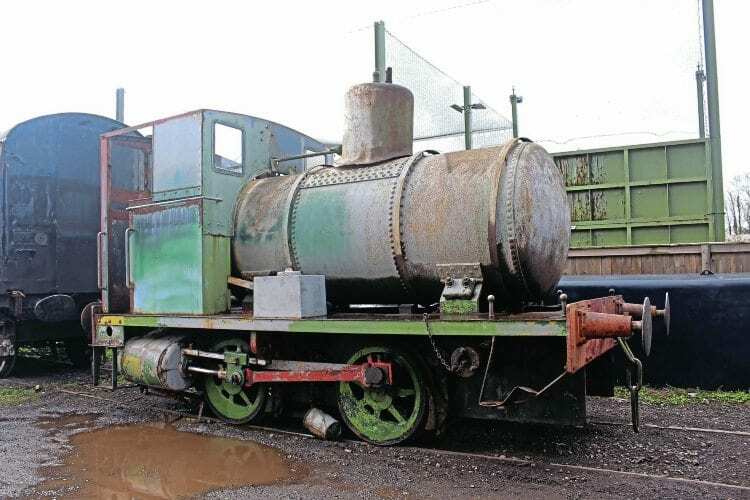 It is the fourth industrial restoration to be taken on by Mr Pope, who has already returned Barclay 0-4-0ST No. 1219 to working order, and is well on the way with sister engine No. 1260 and Hudswell, Clarke 0-6-0T No. 1857.